POLSON — Antoine Bigknife Miller-Reid was born May 21, 2016, at the Nesting Place in Providence St. Joseph Medical Center in Polson. He weighed 7 pounds, 11 ounces. Antoine’s parents are Shay Lynn Reid and Chauncey Miller of Arlee. Maternal grandparent is Michelle McLoughlin-Reid and great-grandparent is the late Mark Reid. Paternal grandparents are Velda Houle and the late Mike Miller and great-grandparent is Clifford Miller. POLSON — Christine, Morgan , Alex , Selene and Rhea announce the birth of their brother, Christopher Paul Bigcrane Fagen. He was born May 16, 2016, at the Nesting Place in Providence St. Joseph Medical Center. 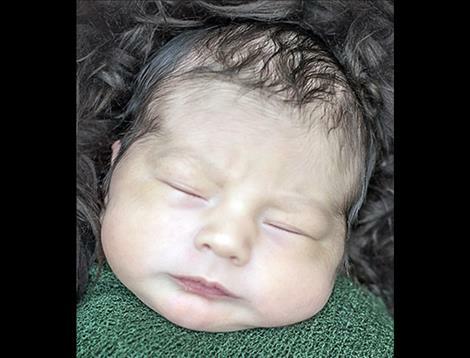 Christopher was 12 and one-half inches and weighed 8 pounds, five ounces. 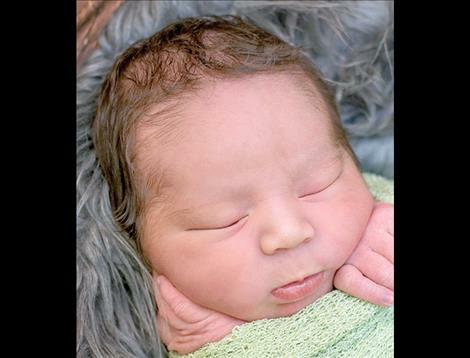 His parents are Charlyn Bigcrane and Lynden Flagen of Pablo. Maternal grandparents are Luana Beavers Sampson and the late Steven Bigcrane. Paternal grandparents are Dennis Flagen and the late Sherri Lynn Flagen. 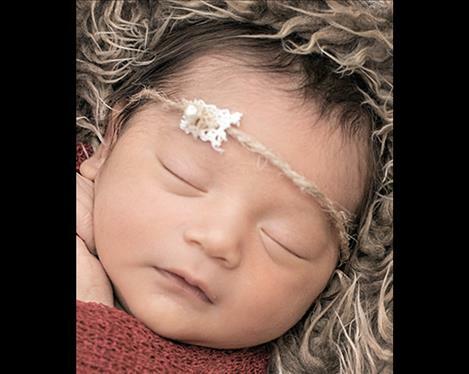 POLSON — Lillian Sandra Black was born May 13, 2016, at the Nesting Place in Providence St. Joseph Medical Center. She weighed 7 pounds, 3 ounces. Her brothers and sisters, Aaislyn, Jayce, Braylin and Deshaud welcome her. Lillian’s parents are Karsyn Wilder and Lucas Black. Maternal grandparents are Anita Joseph and Andrew Wilder. Maternal great-grandparents are Donna Joseph and Eneas Kenmille. Paternal grandparents are Yevette Makes Cold Weather and Leroy Black Jr. Paternal great-grandparents are Francine and Joe Dupuis.